The price of gas is up; airfares are outrageous; you can't even THINK about leaving your office for more than a day ... what's a resume writer who wants to keep on learning to do? One option is teleseminars and webinars. I list lots of those in each issue of Resume Writers' Digest -- but did you know there are FREE teleseminars out there too? In addition to the ones I've listed on here from the Reach Branding Club, if you're a member of Career Directors International, you can also take advantage of their free teleseminars. And if you're not able to attend the live call, you can download the audio from the Members Only section of their website at any time! If you're already a member of Career Directors International, log in to the Members Only section and click on "Audio Recordings." If you're not a member, consider joining. Go to www.careerdirectors.com and click on "Future Members" for a list of membership benefits. Click on the "Join Now" button on the right side of the page. "To think I almost missed the call! My head is spinning since the call ended. I wish I had been more prepared to take notes, because the ideas that were suggested were nothing short of brilliant. I honestly did not want the call to end. In short, I learned easy ways to increase my exposure in the marketplace during a market downturn, without spending a lot of money or dumping my last dollar into advertising. I think this could be a 10-part series, and I know that I wouldn't miss a single one. What a great class...thank you!" Accounting and finance professionals are feeling the pressure of heavy workloads, according to a new Accountemps survey. Thirty-five percent of chief financial officers (CFOs) interviewed said heavy workloads are the number-one workplace concern for their financial teams. Coming in second was job security, with 19%. The survey was developed by Accountemps, the world's first and largest specialized staffing service for temporary accounting, finance, and bookkeeping professionals, and conducted by an independent research firm. It was based on telephone interviews with more than 1400 CFOs across the United States. Executives were asked: Which one of the following do you think is the greatest source of work-related concerns for finance and accounting professionals? "The combination of compliance mandates, traditional projects and shifting priorities has challenged accounting and finance professionals to keep up with their growing workloads," said Max Messmer, chairman and CEO of Robert Half International and author of "Human Resources Kit for Dummies: Second Edition." "The problem is further compounded by a shortage of highly skilled candidates in many specialties." 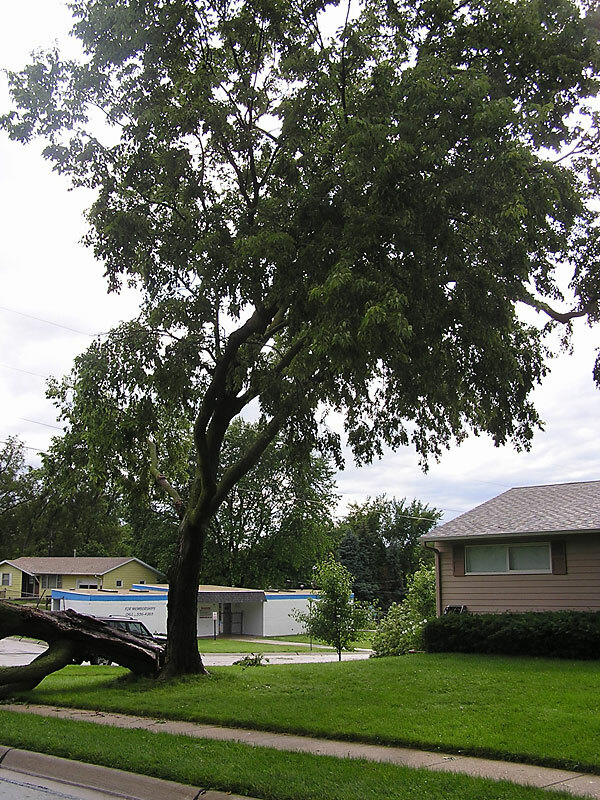 Omaha has gotten pounded by storms over the past few weeks. Last Thursday night, we had tornadoes and high winds. 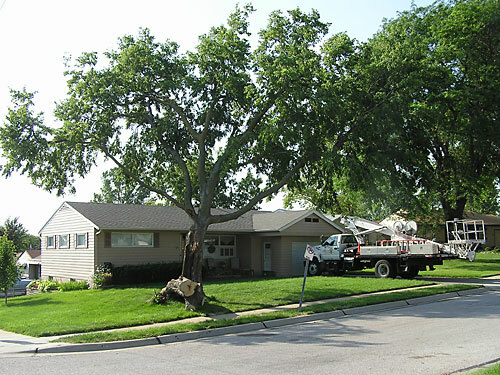 Sunday morning, I was awakened by tornado sirens at 2:30 a.m. (two tornadoes damaged the suburb areas of Omaha, causing $20 million in damage). And then on Wednesday night, we had more tornadoes (including a twister that killed four Boy Scouts at a training camp less than an hour north of the city), plus marble-sized hail, and enough rain to start a river running down my street. Weather is an issue wherever you live. 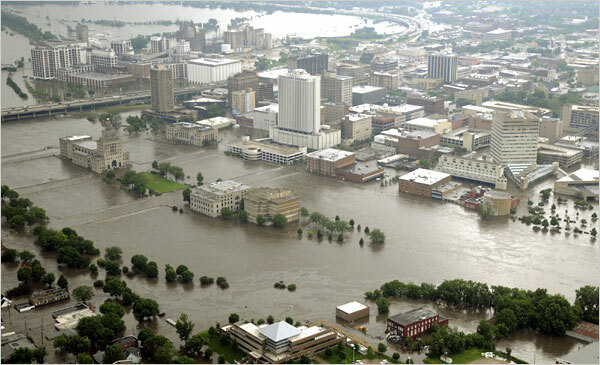 From earthquakes and wildfires in California to hurricanes in the South, to tornadoes in the Midwest, there's a high likelihood that sometime during the course of your business ownership, something will happen that will interrupt your business. 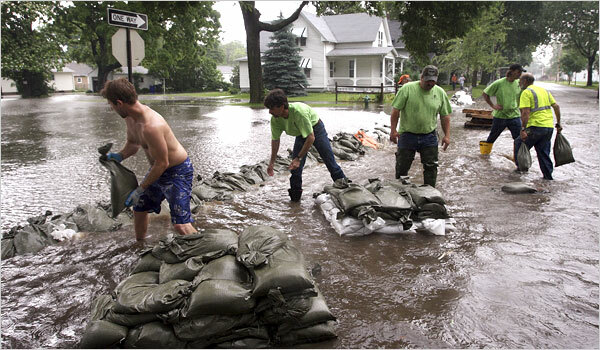 In Nebraska and in Iowa, saturated ground can't handle any more rain; flooding is already a problem. 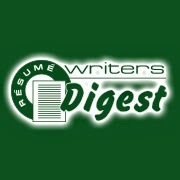 A couple of years back, I wrote an article for Resume Writers' Digest about this subject. Rather than dig it out again, I'm just going to give you the highlights of what you should do to make sure you're protected. Make sure you have adequate insurance. You should have a separate business policy to cover yourself -- and it should include business interruption coverage. In the event of an extended event, it will replace some of your lost income. Make sure you also have adequate coverage for your business equipment. Some personal policies have a "cap" on the total amount of computers and similar equipment covered (could be as low as $2,000-$3,000). If that's the case, add a rider to your personal policy to increase your coverage. Inventory your home and office. Most people are unaware that if you have a claim -- especially an extensive one -- your insurance agent will need a list of all of your possessions, including purchase dates and serial numbers. Not only will having this information readily available increase the likelihood that you are reimbursed for everything you lost (who can remember everything you own in a time of disaster? ), but it will also speed up processing of your claim. I recommend hiring a member of the National Association of Home Inventory Professionals to do this. (Otherwise, it's one of those items on your to-do list that you "always meant to" get around to, but didn't.) Make sure you keep a copy of your inventory offsite too (mail it to a friend who doesn't live near you, or a relative). Keep it updated -- check it at least every six months and add new purchases. Back it up. This is another subject I've talked about before -- and honestly, I'm not as good about it as I should be. So make it automatic! Subscribe to an online service that offers automatic backup capabilities. For the stuff that can't be backed up online automatically, make it a habit to back that up on the first day of each month. And be sure to keep a copy of your backup offsite!! It will do you no good to have a backup in your basement if it floods and everything is destroyed. Buddy up. I've talked about this concept before in terms of having a professional will, but it's also vital in an emergency. Partner up with a colleague in another part of the country who would be able to take your calls and handle new business and projects while you're in recovery mode. Keep an emergency list of contacts, including your buddy and the phone number (and passwords) you'd need to transfer your phone service and give your colleague access to your e-mail and website. No one likes to think about this kind of disaster affecting your life -- but if you're in business long enough, it's inevitable. 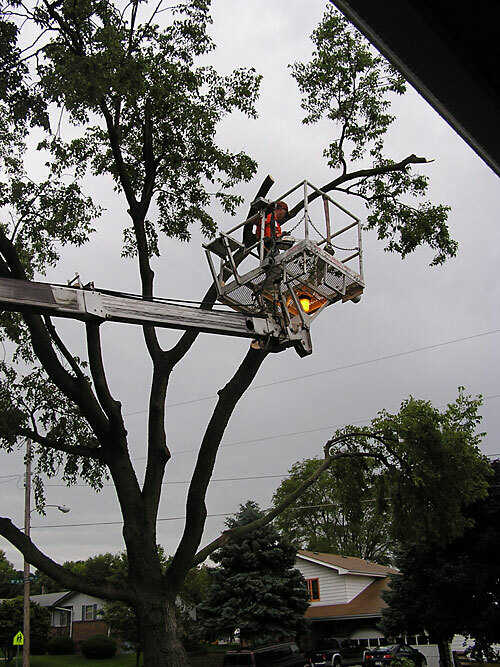 In the past week alone, we've dealt with wind damage and power losses. In the past, an ice storm knocked out our power for 12 days. So take a cue from the Boy Scouts -- and BE PREPARED! Have You Been Critiqued by TheLadders? There has been some controversy in the resume writing community lately as clients of a few resume writers have submitted their new resume to The Ladders for a free resume critique and come back to their resume writer with the feedback that the client's resume needs further help. TheLadders.com is committed to providing the best possible services to our current and future members. We are equally committed to working to promote goodwill in the resume writing community. If you are one of the resume writers involved, and you want to share (anonymously, of course) what the situation is ... call me at (402) 393-4600. I'll report the details, but will keep your specific information confidential. It's the ultimate bragging right: World's Best Resume Writer. Career Directors International is launching a worldwide search for the "best of the best" -- the top three resume writers in the world with their new "World's Best Resume Writer" competition. The contest is open to any English-writing resume writer in the world. You do not have to be a member of CDI to enter. The contest will be judged by a judges panel comprised of HR managers, senior recruiters, OD specialists, and several certified resume writers. Unlike other resume writing contests -- including CDI's Toast of the Resume Industry (TORI) competition -- all entrants will be working from the same client information. You will receive a note file on a target client in the sales and sales management field. 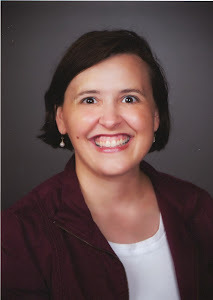 Laura DeCarlo will be lead a free 30-minute Q&A call tomorrow, Tuesday, June 10 at Noon Eastern time. The conference dial in number is 651-715-3300. Your participant access code is 506334#. The entry fee is $39.95 (one entry per person) and you'll receive a copy of the CDI Resume Writing Guide, a $39.95 value, with your entry. Visit the CDI website for more information. The entry deadline is Nov. 1. You can also read more information about this contest in the May/June issue of Resume Writers' Digest. At the NRWA conference in Scottsdale in 2006, the icebreaker at the pre-conference welcome party was a game where a resume term would be affixed to your back, and you'd have to ask other guests questions to see if you could identify what you were. I was a "resume addendum," a document that I rarely produce (and wasn't able to guess in Scottsdale, despite some great clues from my husband and others). But Friday, I saw a client situation that clearly called for a resume addendum. My client, Joe, is an executive with a 30-year work history. His early experience was in developing international markets -- in his words, he was "the guy that gets off the plane and sets up the company's office in Dubai." This was in the early to mid 1980s, mind you. He later became a guru in the world of franchising, creating the systems that sustained hundreds of franchise outlets for a couple of different franchise companies. Joe came to me with the challenge of turning his bio (the only career document he had) into a resume -- actually, two resumes, at my suggestion. The first resume I created targeted franchisor systems development, where he'd spent the bulk of the last 20 years. The second was a chronological format that included his earlier international business experience. Joe loved the first resume -- and got immediate, positive feedback on it from several recruiters and hiring managers, including a few outside the franchise field. And that led to a phone call in which he expressed his disappointment in the second, international-focused resume. Upon further exploration, we initially came up with a solution to his major complaint: that his international experience was "buried" in the resume, since it was chronological in nature -- despite my highlighting the relevant experience in the Qualifications Profile. My first thought was to make the second section of the resume (after the Qualifications Profile) into an "International Business Experience" section, minus the dates that would clearly who that this experience was almost as old as I am. But in further conversation with Joe, I discovered that he really loved everything about his franchise resume -- he just wanted an extra page he could add on when he wanted to target a position using his international experience. Aha! A situationg fit for a resume addendum! So this weekend, I'll be working to create a page that fits the formatting and style of the original franchise resume, but that highlights his early international business experience. It's been a busy week around here ... I don't know if it's something in the water, or something in the air, but all of a sudden, I've gotten three new projects yesterday from quotes I did a couple of weeks ago. Which is great ... but it certainly fits that "feast or famine" adage. But lately, I find myself creatively challenged with the resumes. Not with the content, but with the design. Looking back to more than 15 years ago when I first started writing resumes, design wasn't a problem. I could use great fonts to help create an attractive document. But when I transitioned to a fully virtual practice in 2004, I had to make the change to providing resumes in primarily Arial, Times New Roman, and Verdana. B-O-R-I-N-G. But font compatibility and system issues meant that providing a resume in one of those boring fonts meant I could spend less time troubleshooting file problems (which I don't charge for) and more time writing (which I do charge for). But now I'm feeling stuck in a rut. I haven't bought a new resume book in probably two years. There hasn't been a good session on resume design at a conference (at least not one I've been to) in a while .... I'm looking for inspiration. Anyone have any good recommendations for a book with some great designs using these tried-and-true fonts? I'd love to have someone write an article for a future issue of Resume Writers' Digest on this subject. If you're interested, or know of a great resource, post a comment or e-mail me at RWDigest@aol.com. A job seeker posted a comment on my Sept. 2007 "Industry Reputation" thread today. It's the third one from a job seeker who found the post by Googling either "Resume Pro Writers" or "Stanford Writing Institute." Wow. Thanks for posting this. I was just about to contact Resume Pro Writers when a little voice told me to Google the Stanford Writing Institute. You just saved me $125 and two weeks of aggravation. Thanks again, and good luck in your job search.